The Mahishya people are also known as Sadgop. The name Sadgop is derived from the two Sanskrit words: 'sad' means good and 'gop' means milkman. Some believe they are the descendants of lord Krishna. Their association with dairy products, and thus cattle, have given them a fairly high status in Hindu society, and they are part of a "forward" caste. Ironically some stigmatize them for their rural roots and willingness to work with their hands. 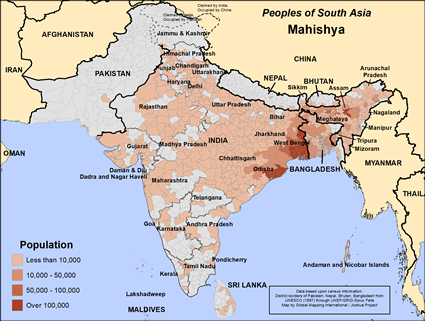 As a people, they are found in several Indian states such as West Bengal, Odisha, and surrounding areas, speaking Bengali, Hindi, Oriya, or English as second languages. A much smaller number live in Bhutan. Though they are associated with dairy farming, these land owners also grow rice and wheat; agriculture is their traditional and primary occupation. Others work in skilled labor or business in cities. Some are computer operators, while others are college-educated and seek spouses over the Internet. They propitiate Hari and Lakshmi as their family deities. Their village deities are Dharmaraj, Manasa and Shiva among others. Like other Hindus they go on pilgrimages to holy sites in Gaya and Vrindaban. Married women have a significant role to play in their ritual Hindu performances. Women worship the goddess Lakshmi daily. These devout Hindus need a spiritual hunger that will take them beyond where they have been for hundreds of years. 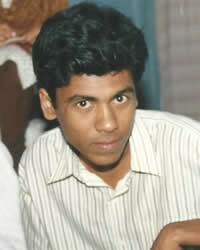 * Pray for the Mahishya people to have a spiritual hunger that will lead them to Jesus Christ. * Pray for a powerful disciple making movement in their communities in Bhutan and India. https://www.revolvy.com/main/index.php?s=SadgopView Mahishya in all countries.